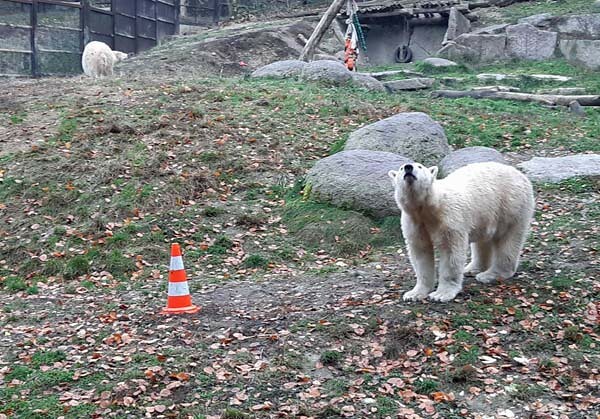 Hans and Veronika have visited the Mulhouse Zoo on the 23rd of November. 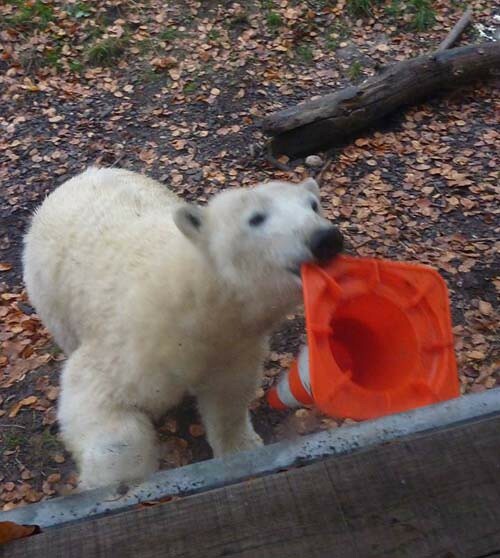 They didn’t come empty handed but brought a nice pylon to Nanuq. 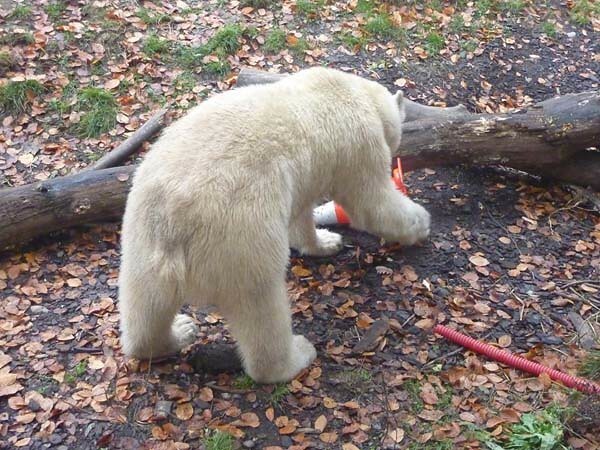 There’s no doubt the new toy was very much appreciated and both Sesi and Nanuq had lots of fun playing with it. Nanuq sitting and waiting for the visitors. Hey, here’s something new!! Where did it come from? The mother and the daughter were eagerly examining the new thing. 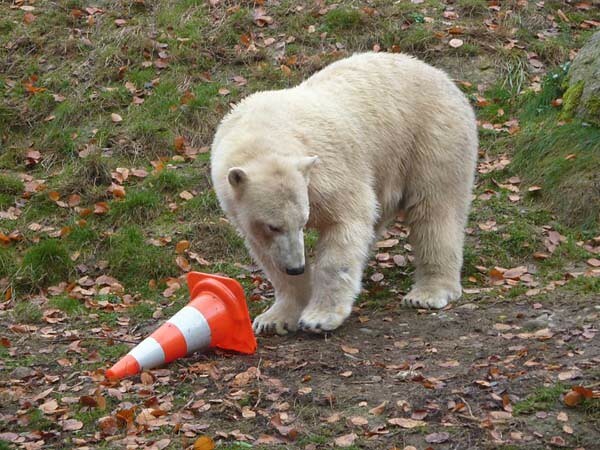 Nanuq seems to be thinking what to do with the pylon. Time to make the ‘tooth test’! Maybe this thing can be used as a hat? 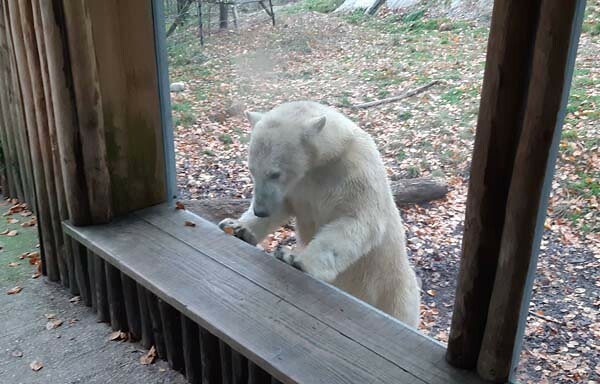 Hmm, it seems to be too small …..
Of course, Nanuq even came to say ‘hello and welcome’ to the visitors. Would you like to take a closer look at my new toy? OK! I’ll bring it closer. Don’t you think it’s a very nice toy? I love it! Thank you so much, dear Veronika and Hans! Thanks to VERONIKA and HANS for having brought again some pics from France, from Mulhouse-ALSACE-FRANCE to be more precise 😉 . . Thanks to you, dear MERVI for the little story aound the pics and your editorial work. 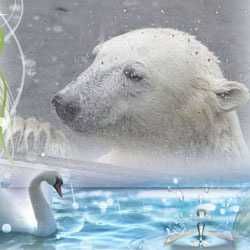 NANUK and SESI are handsome polar bear ladies/girls and very kind together – looks so at least. 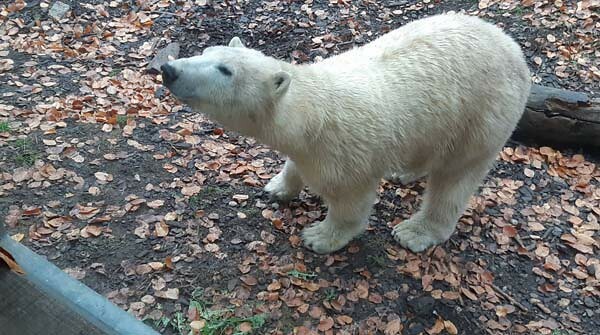 In the fifth last pic it looks as had NANUK a snow flake on her nose! Nanuq was very happy about your present. Thank you for the wonderful pictures. Thank you for the nice pics of Sesi and Nanuq in Mulhouse. 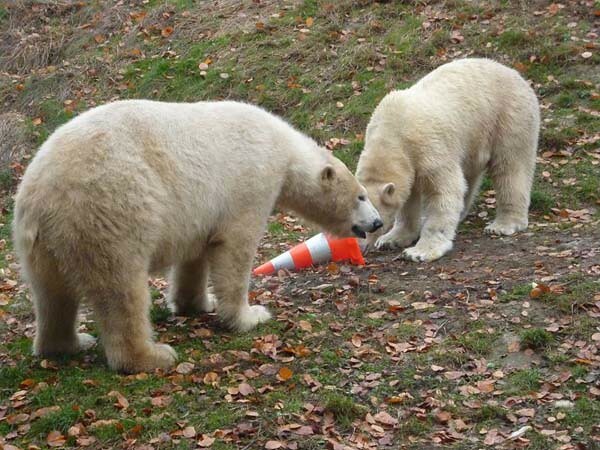 I´m happy for them that you spoiled them with a traffic cone. 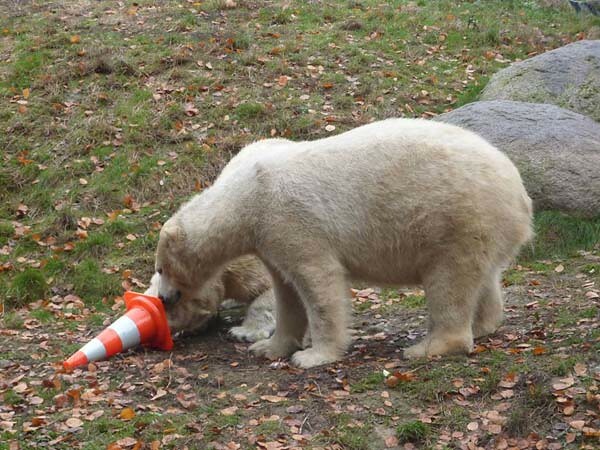 Most of the polar bears like traffic cones and love to put their noses in it. 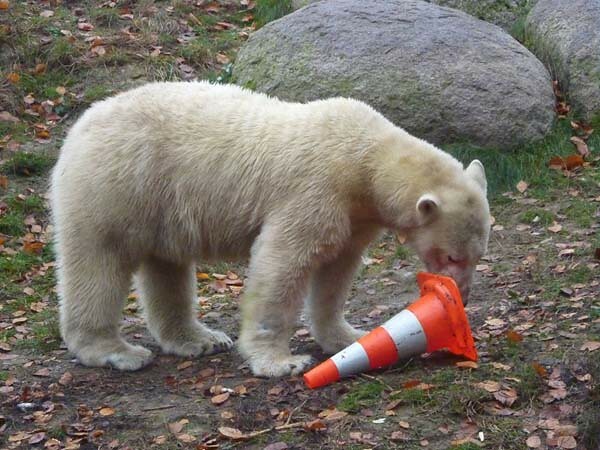 I find it always touching how delighted the bears are when they are given a new toy. Nanuq is a big girl now. I wonder when she will move to a new home. 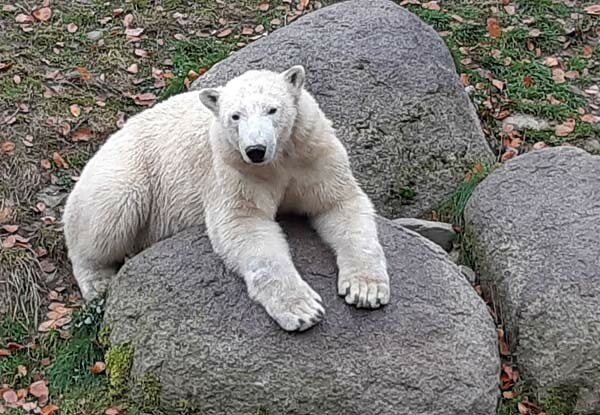 Danke an Hans und Veronika, für die neuesten Fotos von Sesi und Nanuq. 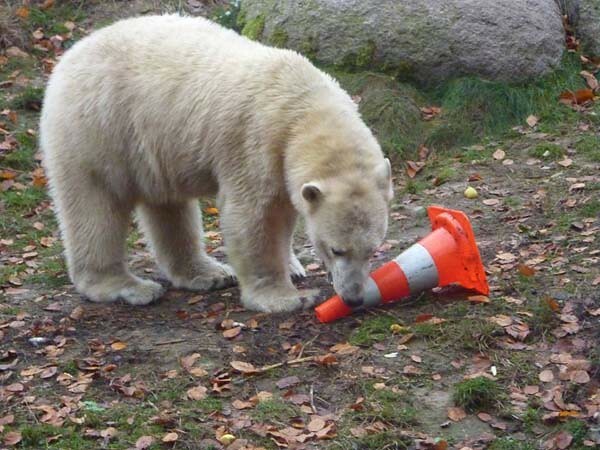 Pylonen sind ja bei allen Eisbären beliebt, und so haben sich die beiden Bären in Mulhouse auch darüber gefreut. 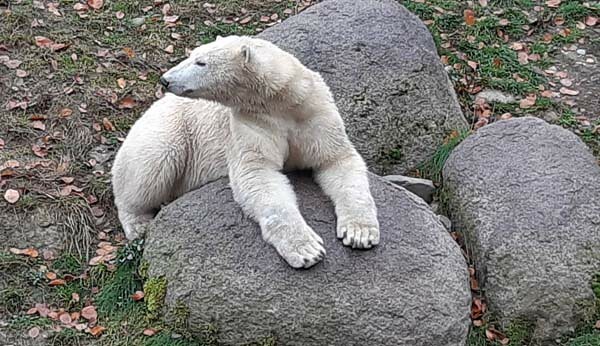 Nanuq hat sich sogar persönlich an der Scheibe bei den Spendern bedankt. 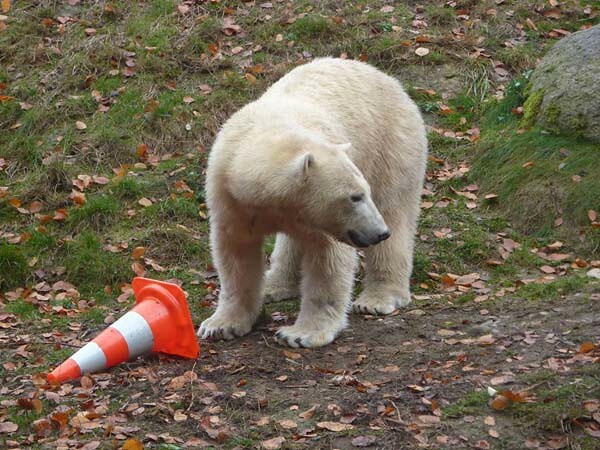 Pylons (or Traffic Cones as we call them in UK) belong with Polar Bears and not on motorways. 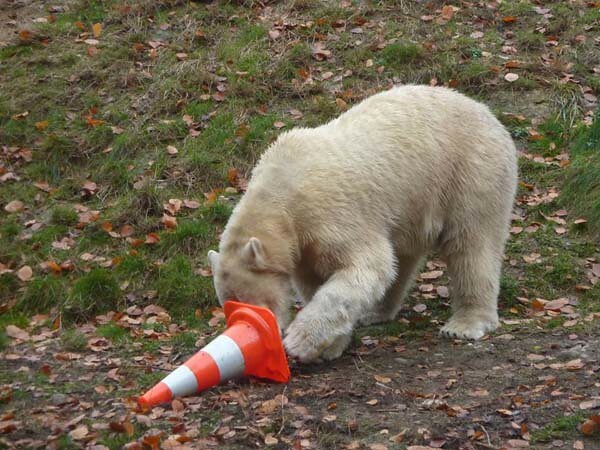 freut mich daß die treuen Fans auch nach Frankreich gehen und die Bären beschenken. 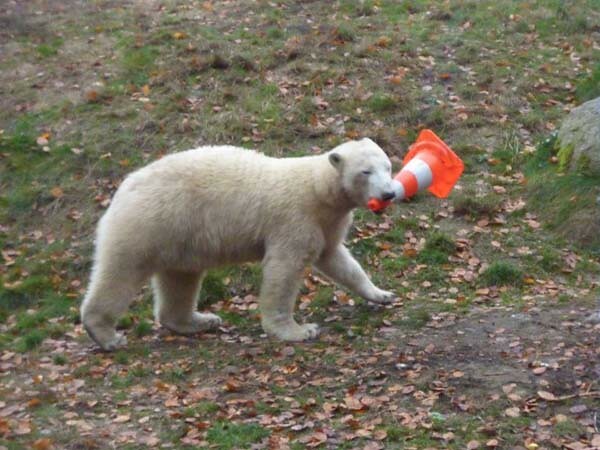 Gibt immer schöne Bilder mit den Verkehrshütchen und die Bären haben Spaß. Danke Euch für die schönen Bilder. 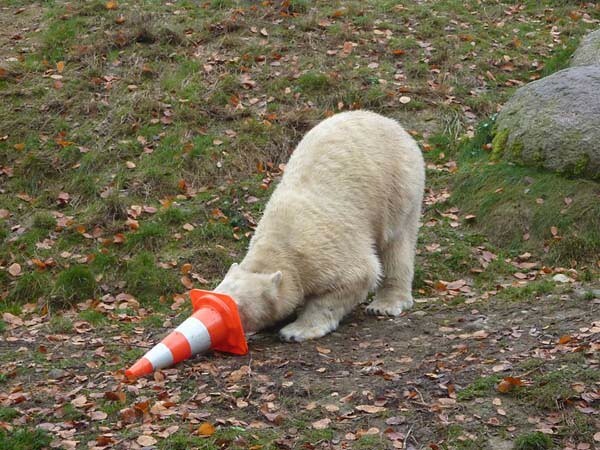 Ja ein Pylon ist immer ein tolles Mitbringsel. 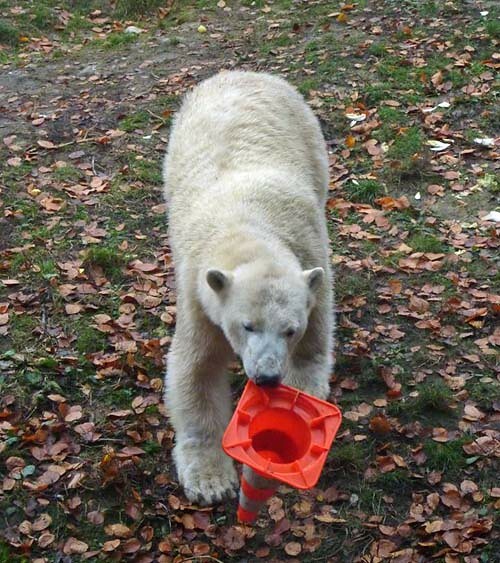 Es nette zu sehen, wie Nanuq das neuen Spielzeug erforscht und probiert und dann für gut befindet. UND dann kommt sie an die Scheiben und bedankt sich. Ein artiges Kind. Vielen Dank für den netten Bericht.